The living experience at I-House reflects its diversity of country, culture, and thought, as well as the academic achievement of its Residents. International House programs are designed to bring together the thought leaders of today and tomorrow. Residents rub shoulders with national and international policy makers and diplomats; engage in meaningful discussions with leaders and innovators in business and tech; explore social issues with filmmakers and journalists; and delve into the creative process with acclaimed musicians, actors, and artists. 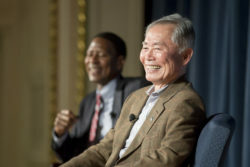 Actor and Activist George Takei. Distinguished speakers representing a wide variety of leadership styles and fields including business, government, arts, science and journalism. Notable authors addressing issues of culture, identity, international relations and a broad range of other topics discuss their recent works with Residents. Acclaimed documentaries on a wide variety of topics are shown, and attendees get a chance to hear from and interact with some of the people involved with the film. Recent films shown include When Elephants Fight, Harvest of Empire, Salt of the Earth, America’s Diplomats, Almost Sunrise and The Trials of Spring. Residents at a recent Sunday Supper. The longest standing tradition at International House, Sunday Suppers are where the the I-House movement began. Our community members dress up and come together to share family-style meals as they hear from captivating visiting speakers and enjoy musical performances by talented Residents. Organized and led by Residents, for Residents, these forums epitomize the spirit of open dialogue at International House. Recent discussions have included the Syrian refugee crisis; the Black Lives Matter movement and the US criminal justice system; diversity in the tech industry; and other timely topics. Residents produce monthly celebrations of traditional and contemporary life, the arts and the cuisine of various countries and regions. A community-wide festival of words, music and dance from around the world. Residents can learn or practice a new language with native speakers, or teach their language to other Residents, all at no cost, at their own pace, and in the comfort of the House they call home. 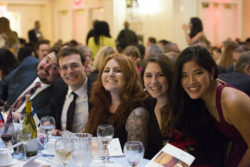 Residents studying music at Manhattan School of Music, The Juilliard School and the Mannes School of Music collaborate and share the spotlight with talented armatures in the House in exciting performances of classical, jazz, world, R&B, pop, and spoken word. 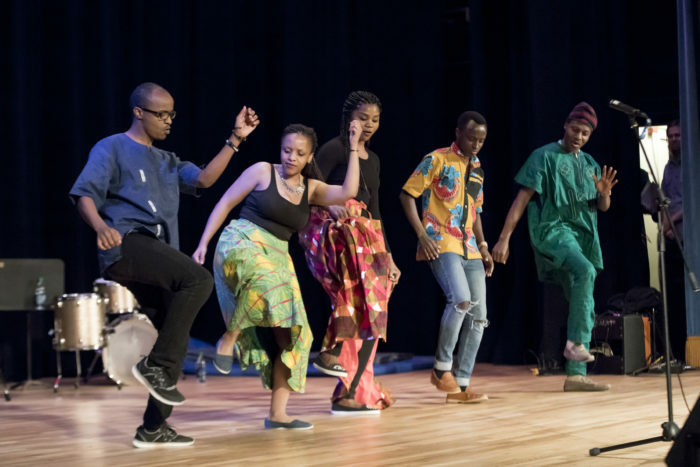 The biggest party of the year, this annual spring fling is filled with Resident music and dance performances, cuisine from around the world, cultural exhibits, and more.